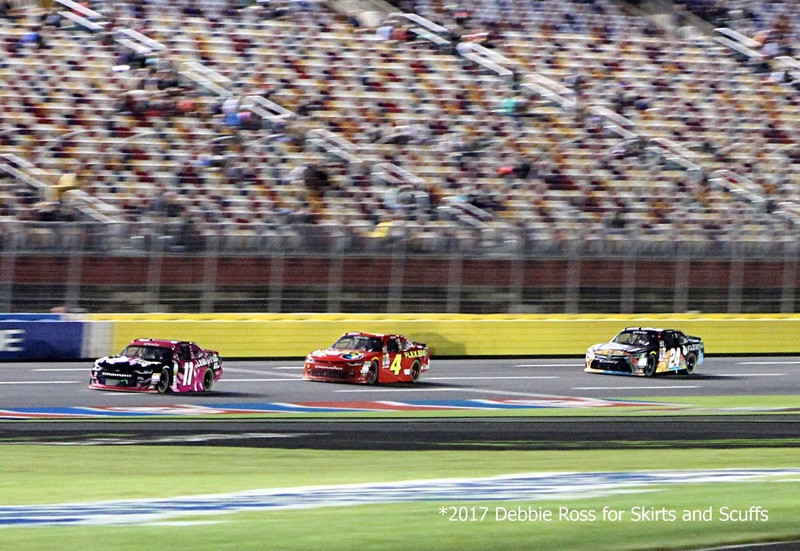 I’m far from a contortionist but I do love yoga, and the first time I heard the words frontstretch and backstretch uttered in NASCAR my ears perked up. To me, the passionate yogi, those words conjured up an image of limber muscles, but what they mean in racing is far from easy movement. 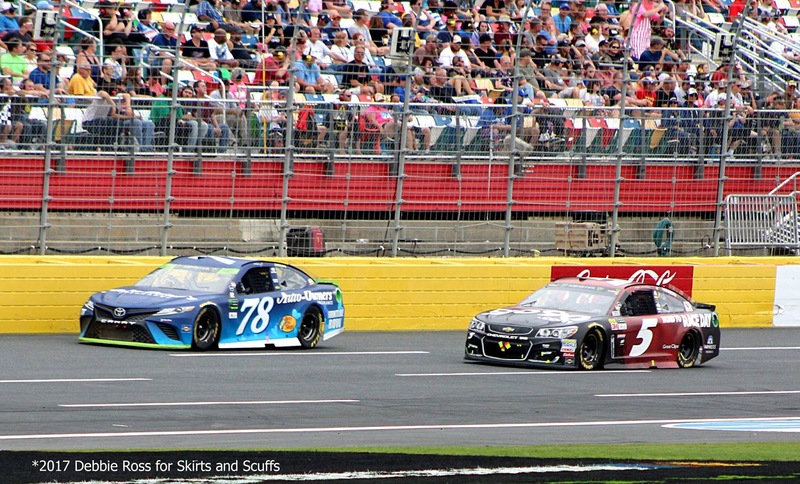 The actual definitions of the frontstretch and the backstretch are pretty simple, so as a rookie they’re great words to have in your ever-expanding collection of racing lingo. You know, just in case you need to impress someone. 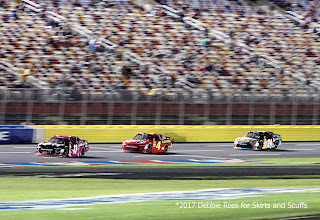 The Frontstretch – Directly in front of the grandstands, where you might sit if you attend a NASCAR race, is a long, straight stretch of track. At each end is a curved loop where the track turns. This part of the track is called the frontstretch and is usually where the race will start. It is located between the first and fourth turns. The Backstretch – On the opposite side of the start/finish line where the grandstands are is another straight section of track. It is parallel to the frontstretch, and it’s known as the backstretch. The backstretch lies between the second and third turn. Fun fact: there are also frontstretches and backstretches in horse racing. Giddyap, y’all. NASCAR tracks come in all different sizes and shapes but the most common is the oval-shaped track, which has a regular frontstretch and backstretch. But there are some exceptions. Pocono Raceway, also known as the Tricky Triangle, is a quirky track and is a tri-oval shaped 2.5 mile track with three corners. It has a front stretch but with three turns, technically doesn’t have a backstretch. 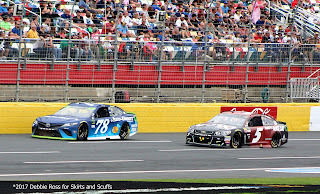 Banking, or how fast a car's downforce and velocity are through a turn, will affect the speed of race cars on both the frontstretch and backstretch. Both frontstretches and backstretches have varying degrees of banking, but not nearly as severe as the looped ends, or corners, of each track. Read more about how banking works. They’re coming down the backstretch with just five laps to go…get ready for the Big One!